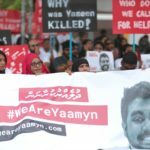 Police arrested eight people in relation to Yameen Rasheed’s murder. Six were charged. 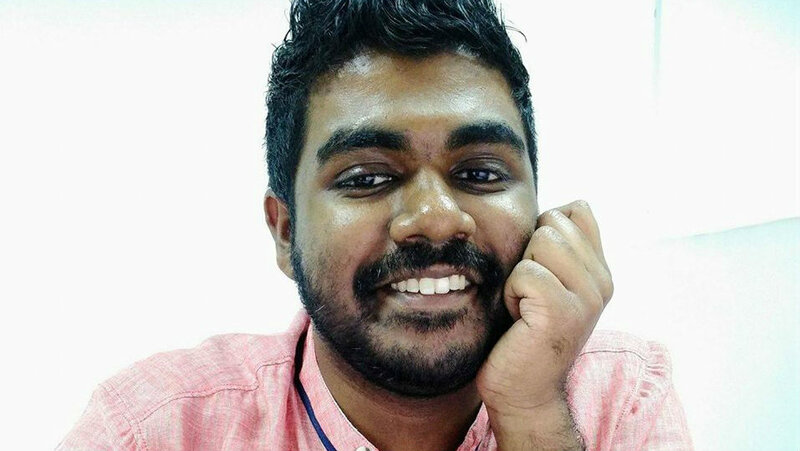 April 23 2018 marks one year since Yameen Rasheed was murdered in Malé. The following is an introduction to the key people in his life and in his trial. 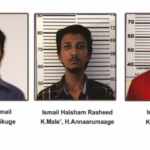 Police identified Ismail Rasheed, 25, Ismail Haisham Rasheed, 21, and Ahmed Zihan Ismail, 22, as the prime suspects. Haisham Rasheed and Zihan stabbed Yameen to death while Ismail Rasheed kept watch outside, according to police. Ismail Rasheed has a criminal record for gang violence and Haisham Rasheed served a sentence on a charge of robbery using a dangerous weapon. Two others, Ahmed Nasooh Abdulla and Mohamed Yashfau Rasheed, were arrested during the initial investigation but were not charged. 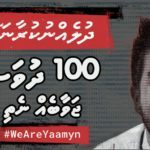 Ahmed Rilwan was a journalist who worked for the Maldives Independent [then known as Minivan News]. He was abducted in 2014 and was last seen entering Hulhumalé ferry terminal at 00:44 on August 8. He had received death threats and reported being followed by gangs and religiously radicalised criminals. Like Yameen, Rilwan spoke against extremism and supported pluralism. The two had been close since late 2009. Around 600 days later police confirmed he was abducted at knifepoint outside his home. Yameen described Rilwan as a brilliant mind, brimming with ideas and incredible insight into the Dhivehi culture and language. Others have said Rilwan was someone who thought deeply, without ego or the need to show off, unlike most young Maldivian men his age. After the abduction, Yameen fought for information regarding his friend’s whereabouts. The court is currently hearing witness evidence in the terrorism trial against Aalif Rauf and Mohamed Nooradeen, who remain free unlike other terror defendants. Police claim the third defendant, Mohamed Suaid, died in Syria. He has appealed for foreign involvement in the murder probe and accused the police of destroying forensic evidence gathered from the murder scene. Yameen’s sister, Aishath, 34, worked as civil support staff at the Maldives Police Service. 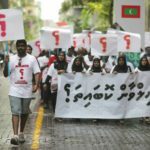 She was fired for taking part in a protest march marking three years since the abduction of Maldives Independent journalist Ahmed Rilwan. Aisha believes she was fired because she had criticised the police investigation into her brother’s death.“Police officers need to understand that there is a difference between the police institution and an officer. 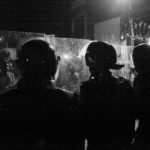 Individual officers need to stop taking criticism of the police institution personally,” she told the Maldives Independent at the time. Maumoon Hameed is the defence attorney for Ismail Rasheed, one of the suspects. Hameed is the nephew of former president Maumoon Abdul Gayoom and President Abdulla Yameen. He is also the lead attorney for Gayoom and his son Faris Maumoon, who are both in jail. Hameed says Ismail Rasheed denies having taken part in the murder. The prominent lawyer has also called for an open trial on behalf of his client.